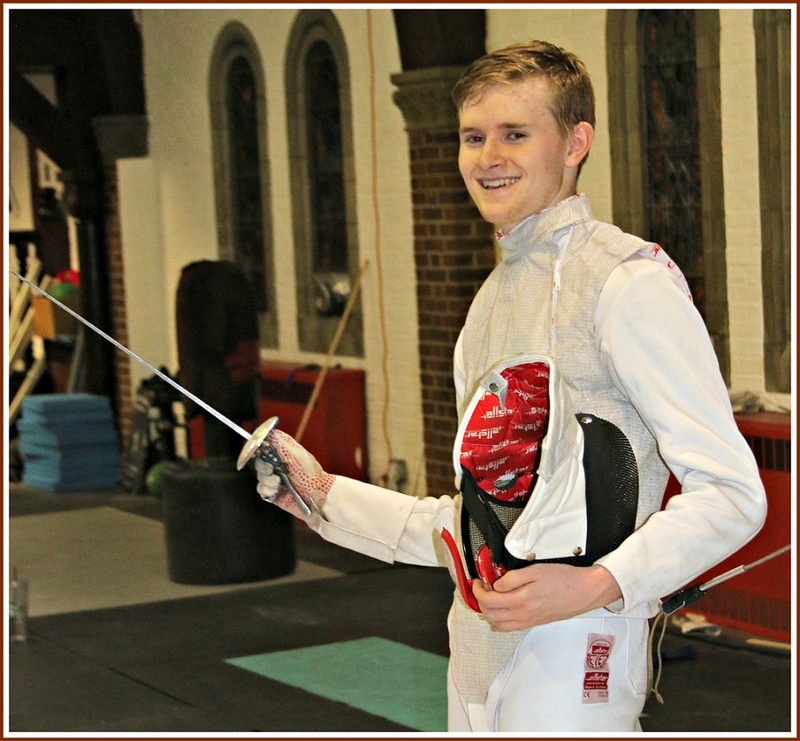 When some of Jake McGillion-Moore’s friends learn he’s a fencer, they assume he builds fences. 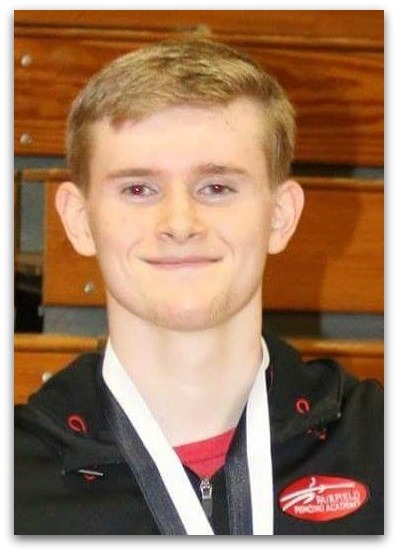 The Staples High School sophomore is an athletic fencer. But he does a lot more than parry and thrust. Jake — who has dual citizenship — is on the Irish junior national team. This week he’s in Verona, Italy, for the cadet (Under-17) world championship. He competes in Cancun, Budapest and Paris. This summer he vies for the US title in St. Louis. He’s already a 2-time state champ. Not bad for someone who has been fencing for only 3 years. And who got into the sport only because his younger, “more athletic” sister Katie was doing it. Jake is a well-rounded young man. A lifelong Westporter and Life Scout (his Eagle Scout project is renovating the backyard of Caroline House, the Bridgeport youth center where he volunteers 2 days a week), he also plays bass in the Staples orchestra (and classical piano). But fencing has become an important part of his life. Jake loves the challenges — mental as well as physical. You’d think upper body strength is important, Jake says that leg strength is key. Fencers are in constantly motion, getting close to or away from their opponents. At the Fairfield Fencing Academy Jake practices footwork and lunging, in high-intensity intervals. He also does weight training, and works on fitness. Jake McGillion-Moore is ready to compete. Right now, Jake is competing for a world championship. There really are no words for that. Congratulations on your accomplishments Jake, and good luck in the world championship. At some point you should (or maybe you already have) visit the Westport Historical Society and read about Ed Vebell who was not only a phenomenal artist, but also a world class fencer. Jake. Autocorrect went wild, and I didn’t pick it up. My bad — apologies to Jake (and Luke). I was getting ready to change MY name! Wonderful! Dan, please let us know how he does. Jake is really wonderful kid and he also finds time to volunteer a ton of hours for SLOBS (Service League of Boys) at Staples High School.